Downtown Winnipeg’s largest festival brings 60,000-plus people to Broadway Avenue for an exciting weekend of celebration. Tour Winnipeg’s best food trucks in the ManyFest Food Truck Wars, or quench your thirst in the wine and beer garden. Kids can enjoy a movie in the park and an engaging Kids Zone. As night falls, the street lights up with the Electric Donkey Race and fire performers. The Prairie Love Festival‘s mantra is to celebrate the land of big skies and big hearts, and boy does it deliver. FortWhyte Alive is the perfect nature venue for this inspiring, rejuvenating event in the heart of the prairies. Yogis can enjoy a variety of classes with renowned instructors, as well as tranquil meditations, nature hikes, speakers and music. Row, row, row your boat, quickly down the river! Dragons take flight along the Red River for the FMG Manitoba Dragon Boat Festival, in support of CancerCare Manitoba and the Children’s Hospital Foundation of Manitoba. Cheer from the sidelines as 25 teams race down the river on a boat of traditional Chinese design. Pull up a chair to the new Farmers’ Feast at the St. Norbert Farmers’ Market. Chef Ben Kramer will serve up an incredible 5-course dinner featuring fare from local farms. Bring your appetite! Get a taste of the Pembina Valley at the Honey, Garlic & Maple Syrup Festival. This food themed festival features a pancake breakfast (make sure to use maple syrup), craft show, farmers’ market, vendors, cooking demos and beverage gardens. Tasty treats are never far away; and with ‘Gourmet Alley’ and a delicious Buffet Supper, you will want to arrive hungry. Come donned head-to-toe in gold and blue for this quintessential game of the season. The Banjo Bowl is an annual rematch game where the Winnipeg Blue Bombers take on the Saskatchewan Roughriders – and trust us when we say, there will be banjos. Go Blue!!! Still holding onto summer? The Summer Lights Music Festival is for you. Head to Brandon, Manitoba for a family-friendly music festival featuring prominent up-and-coming acts like Sol James, Attica Riots, The Crooked Brothers, as well as nationally acclaimed artists such as Said the Whale, Terra Lightfoot and Joel Plaskett. Free camping is available steps away from the festival, and with fully licensed grounds, you won’t have to miss a single moment! Join into excitement of Canada’s big 1-5-0 birthday at the Canadian Museum for Human Rights. From 5 to 9 pm, get free admission into the museum and engage in special performances and programming. An interpretive guide will be on hand to showcase the Museum’s stories on youth, diversity, inclusion, the environment and reconciliation. History, humor and community take centre stage in the premiere of Less Traveled: A Journey from Pine to Palm. at the Manitoba Theatre for Young People. Follow Josiah Laubenstein and Darrell Johnston on an epic trip along the Jefferson Highway. The pair starts their adventure in Winnipeg, Canada and finishes in New Orleans. The best part? The entire 2200+ mile trip is completed in a ’54 Dodge Royal. The 1st ever Dark Sky Weekend celebrates our mysterious universe. Navigate the stars with astronomy experts or go on a hike along the scenic Lakeshore Trail while learning about our solar system. Improve your dark sky photography with local Clear Lake Country photographer, Austin Mackay or hop aboard the Star Party Boat Cruise to experience the night sky in the middle of the lake. The summer event of the Beausejour Brokenhead area has arrived! Cheer your heart out at the sanctioned Semipro rodeo and the Manitoba High School Rodeo or simply wander the ag displays to see antique tractors. Kids will love the petting zoo, parade and fireworks, making the Double B Agricultural Festival an event for the whole family. The ’72 Summit Series Tour celebrates the first game of hockey’s historic Summit Series, played in Montreal in 1972. Eight members from the original Team Canada team will take stage to give an intimate, first-hand telling of the dramatic story of teamwork and comeback victory. See all your favourites from the blockbuster animated movie franchise take to the ice for the coolest show ever. Ice Age on Ice features Scrat, Sid, Manny, Diego and the rest of the prehistoric pack as they embark on an adventure to find the magical Froozleberry and save themselves from extinction. 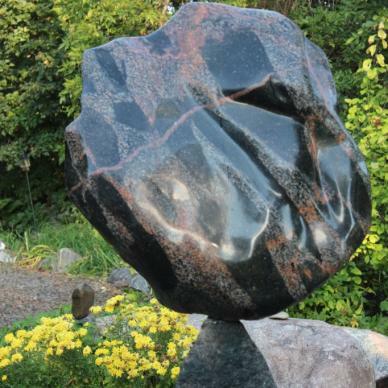 The 10th annual Beyond the Gate garden tour offers a rare glimpse into the incredible stone gardens of Lisa and Todd Braun. 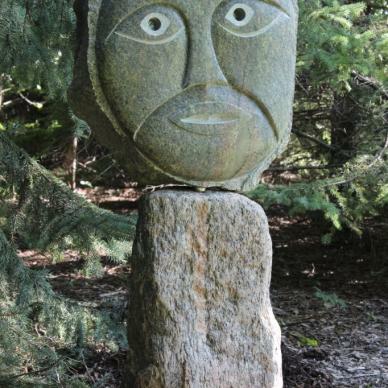 The tours take participants on a walk across the five-acre property to see incredible works of stone art and sculpture. Currently running at the museum is a temporary exhibit detailing the successes and failures of the Battle of the Somme during World War I. Running from July 1 until the end of November — roughly the same time frame as the battle — the exhibit tells the story of how machinery changed the face of war. The British army had a secret weapon (no spoilers here! ), which showed that new technology can sometimes be a liability. But the Canadians — backed by a country that bought $2 billion worth of war bonds and donated everything from ambulances to artillery — showed great determination. Lessons learned at the Somme paved the way for the Canadian Corps success at Vimy Ridge in 1917-1918. It’s an all-out rodeo in Carman, Manitoba this weekend for the Heartland Rodeo Finals. The best of the best are coming to town to show their expertise at steer wrestling, breakaway roping, saddle bronc, barrel racing, bull riding and more. There will be plenty of time to wind down after the excitement, with beer gardens and catering by Danny’s Whole Hog rounding off the weekend. The air is getting a bit crisper, the leaves are changing colours, and it’s a comfortable time of the year to enjoy some quality time outdoors with the family. The Winnipeg Beach Harvest Festival has something for everyone. Kids will love the inflatables, face painting, and scarecrow making contest, while ‘Ma and ‘Pa will get their fill with an outdoor market and the best apple pie, jam, jelly and dill pickle competitions. Celebrate the West Broadway neighbourhood in one of the largest community events in Winnipeg. The area boasts an abundance of wonderful talent, business and spirit; all of which surfaces during the Sherbrook Street Festival. All day music is couples with a merchant village, as well as kid-oriented activities such as arts and crafts, exhibits and games.